A condensed version of this article was printed in the December 2014 edition of Presbyterians Today. Please click the link below to open it in pdf, and here to view the magazine’s feature articles. God’s planning is perfect. In 2008, long before the Arab Spring fixed world attention on the Middle East, the women of the World Day of Prayer International Committee designated Egypt to write the program for their 2014 event, held on March 7. In retrospect, God arranged for the more than 170 member nations to focus on Egypt during this critical time. “All around the world people are praying for us today, and this should fill us with serenity and thanks,” announced Rev. Emil Nabil to the 300 mostly middle aged women at the main gathering in Cairo, one of over twenty locations hosting a WDP event. But off the podium the assistant pastor of the Heliopolis Evangelical Church, affiliated with the Presbyterian Synod of the Nile, had a somewhat different take. The first World Day of Prayer was held in 1928, and even at that early date Egypt was among the participants. The local Presbyterian church led the efforts, with other denominations joining thereafter. By 1970 the WDP committee of Egypt drew from all national churches, but outside of individual participation the majority Orthodox – 90 percent of Egyptian Christians – remained largely aloof. Hannah was raised Orthodox but had a born-again conversion experience in her church sponsored Bible study group. But as her priests bickered over the legitimacy of their small fellowship, she decided to worship near her work at the American University in Cairo, at the famed Kasr el-Dobara, the largest Protestant Church in the Middle East. “The more I got involved the more the Lord led me back to build bridges with other denominations,” she said. In the process Hanna was challenged with her own inner fanaticism. 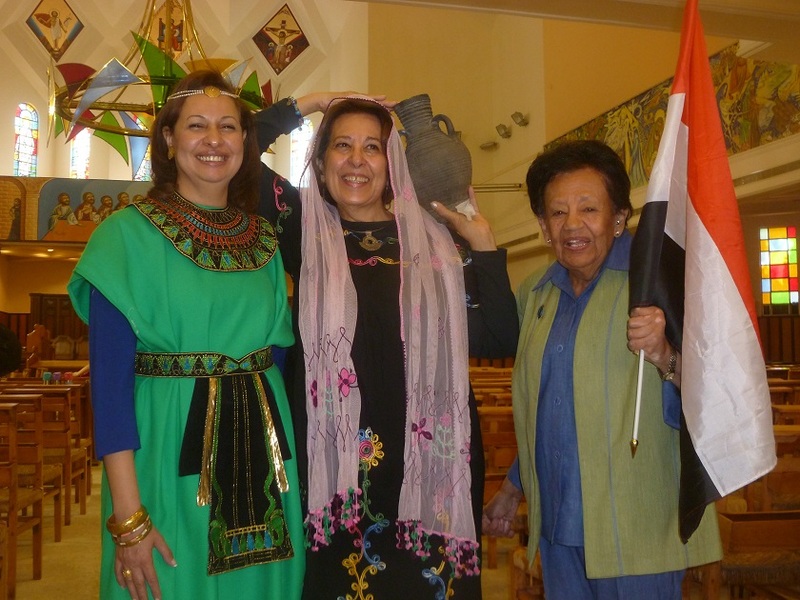 She traveled with the Egypt delegation to the June 2012 WDP quadrennial meeting in New York City, engaging with women from around the world about the Samaritan woman, the devotional prepared by her team. Hanna was shocked to find that not everyone present considered the object of Jesus’ attention to be a sinner. Similar debate about the nature of Islam confounded her. Similar, if easier transformations were witnessed back in Egypt as the working committees planned the program and the order of service. 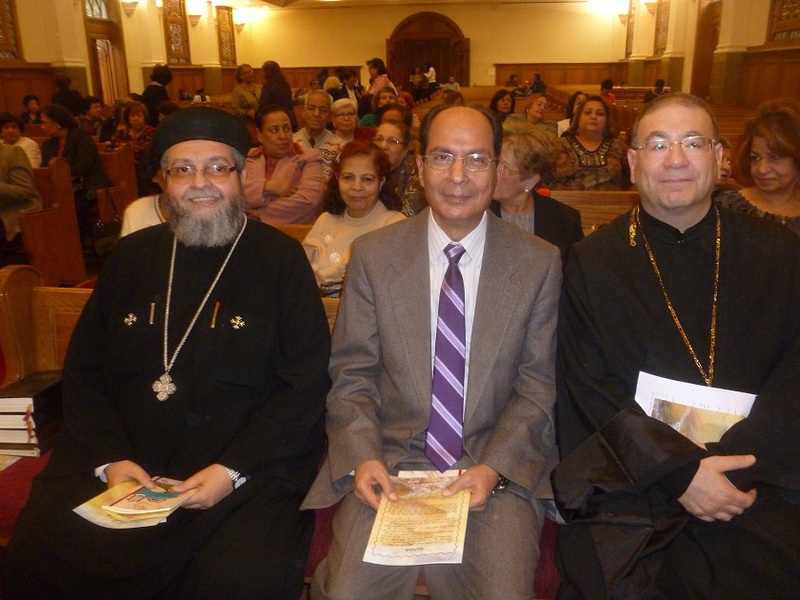 Mervet Akhnoukh, chairperson of the board of the Coptic Evangelical Organization for Social Service, cherished how Protestant, Catholic, and Orthodox women found common purpose. Her committee included many Orthodox women, but the key toward wider knowledge of the World Day of Prayer rests with the clergy. In preparation for the yearly WDP, organizers hold monthly meetings to plan and pray, rotating through the different denominations. Orthodox priests welcome the group into their halls, but look to the pope for official sanction to be a part of a non-Orthodox service. Hanna commended the recently deceased Pope Shenouda as a man of God, but described how doctrinal issues sometimes made Orthodox church leadership wary of the other denominations. But the new pope has brought a spirit of openness, she said, and this year it paid dividends. The WDP committee presented their program to Pope Tawadros at the one year anniversary celebration of the Egypt Council of Churches (ECC), a landmark achievement he inaugurated with the other denominations. The pope gave his blessing, communicated publicly on the ECC Facebook page. And for the first time in many years, an Orthodox priest attended the main gathering, bringing along thirty women from his church, most of them from the younger generation. If Orthodox participation is poised to increase, this will go a long way in fulfilling the longstanding goals of these dedicated prayer activists. The World Day of Prayer is dedicated to such awareness, but this year as a byproduct helped make the world more aware of Egypt. Cinda, a PCUSA staff member working with the Evangelical Theological Seminary of Cairo, joined a WDP event in Canfield, Ohio by Skype video, and related her personal experiences in Egypt. She noted the official program told only of the revolution of 2011, and wanted the church in America to be up-to-date. She focused on the Christian example given after churches were burned throughout the country this past summer. “These brave Egyptian Christians,” Cinda told them, “it was as if the biggest, meanest bully on the playground smacked that wiry kid with the glasses in the face and the playground monitor looked the other way. The victim just stood up with his bloody nose and his broken glasses and stared back at the bully. No raised fists. No running away.” She related how Pope Tawadros declared the buildings could be considered a burnt offering, if it was necessary for Egyptian freedom. The troubled national situation dominated the prayers of Egyptian WDP participants. Egyptian Christians have joined the government in condemning the popularly deposed president’s Muslim Brotherhood as a terrorist organization, and deplore Western opinion that calls his removal a coup d’etat. They ask God now for a good president in the upcoming elections, for stability, and for improved economic conditions. They pray for the educational system, and against fanaticism and corruption. They pray for regional peace, the return of tourism, and for all Egyptians to know God’s love. 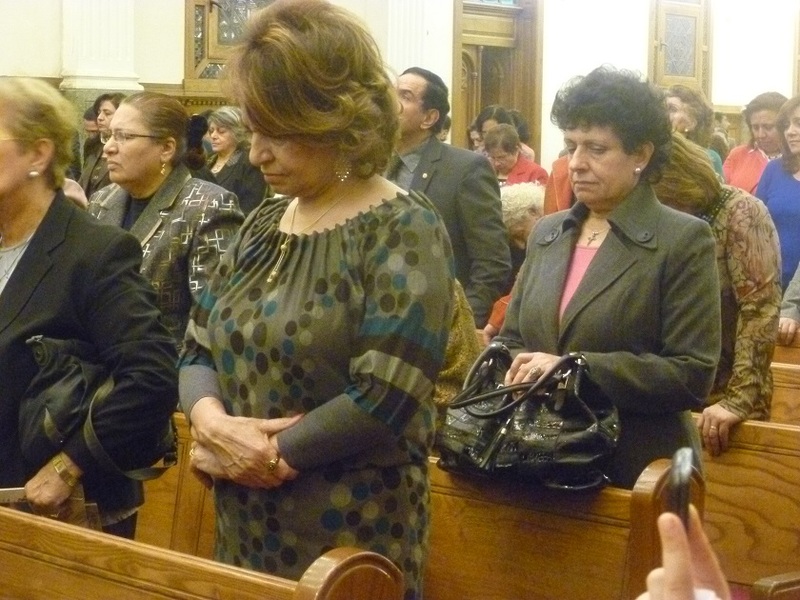 And as appropriate for an ecumenical gathering, they pray for unity and the favor of God.